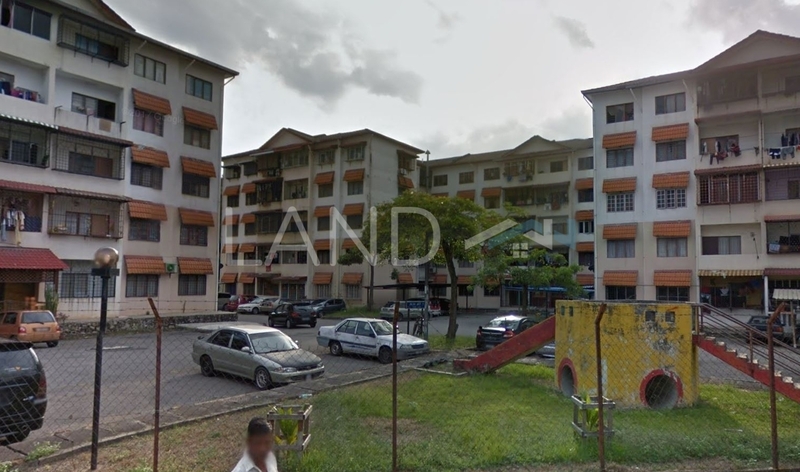 Pangsapuri Serindit (also known as Serindit Apartment) is a leasehold low-cost flat located in Impian Ehsan, Balakong.The built-up available at this project is 900 sf to 998 sf. Other neighbouring projects nearby are Pangsapuri Bayu Suria, Pangsapuri Desa Ria, Pangsapuri Flora, Pangsapuri Ghazal, Pangsapuri Inang, Pangsapuri Kasawari, Pangsapuri Kenari, Pangsapuri Meranti, Pangsapuri Rakyat and Taman Setia Balakong. The only amenities nearby this low-cost flat are schools. Several of the schools here include Primary School, SA Rakyat Al Ehsanniyah, SK Taming Jaya and SR Islam Al Hidayah. The current market prices for Pangsapuri Serindit are from RM230,000 to RM240,000 (about RM250 psf); while the monthly rentals are not known at this time. The highest median price psf ever recorded was RM254 psf in Q2 2019; while the lowest one was RM105 psf in Q4 2011. The most popular layout and size combination at Pangsapuri Serindit is 3-bedroom / 900 sf with a median price of RM250 psf. For price wise, the most expensive one is 3-bedroom / 900 sf with a median price of RM250 psf; while the cheapest one is 3-bedroom / 998 sf with a median price of RM240 psf.